In my last column, I talked about the 6 trends that Shop sees in retail. One of the members of Shop, Katie Kochelek from Frank Mayer and Associates, wrote an article about the 2019 retail marketing and point of purchase (POP) industry trends, which I would like to share with you here. By Katie Kochelek, marketing specialist at Frank Mayer and Associates, Inc.
Will we see more merchandising displays and interactive kiosks in unlikely places this year? Keep an eye out for those brands and retailers who recognise these chances to promote to buyers through unconventional avenues. 2018 had no shortage of industry news articles confirming that retailers were beginning to explore how to utilise augmented reality (AR) to their benefit. Shoppers have been seeing AR pop up on mobile apps for a while now, using it to envision a piece of furniture in a tight space or instantly visualise how a paint color will look in a room. Both scenarios will likely play out big this year, with businesses adopting the technology to continue the important task of personalising experiences for customers as well as consumers eagerly using it to watch products come to life. With more buzz surrounding things like 3D car models and virtual fitting rooms, the excitement behind augmented reality and its value to brands is only just beginning. The goal to offer customer convenience is certainly not new. In fact, coupled with 'personalisation', both vocabulary words are used frequently when referring to common brand objectives. However, 2019 will continue to expand on customer service agendas put into place last year. “It’s all about minimising the impact on consumers’ time and making transactions easy,” president Mike Mayer reveals. More retailers will continue to expand programmes like Buy Online, Pick Up In-Store (BOPIS) because of its popularity with customers who desire quick fulfillment of an order. In fact, a March 2018 report titled Kibo’s 2018 Consumer Trends Report – Engaging the Informed Consumer indicates 67% of survey participants had used BOPIS in the previous six months. 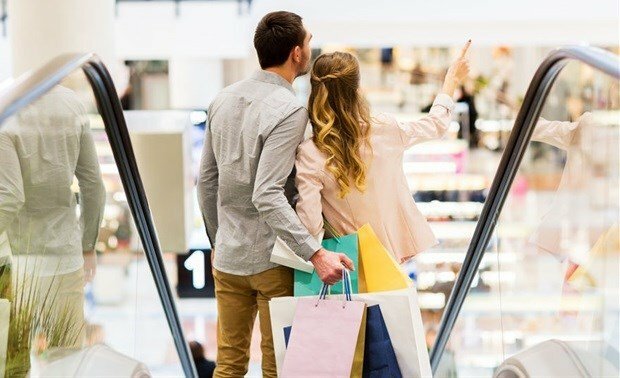 With so many shoppers taking advantage, convenient opportunities like BOPIS will continue to be essential tools for retailers to entice new customers through the door. Similarly, Mayer predicts self-service kiosks and devices will be a lasting mainstay in retail and the quick service restaurant industry. While a handful of restaurants and retailers rolled out self-service options over the last 12 months, 2018 mostly proved to be a year of testing as businesses began ironing out the details of launching their own programmes. 2019 should be the year when we’ll see many of these self-service plans come to fruition. Furthermore, other verticals like hospitality and healthcare will also capitalise on integrating self-service technology for customers and patients, allowing their clientele to save on time while brands learn from information collected. I am actually quite excited to see just how our industry is going to change in the next couple of years due to the advent of certain technologies. Already most of the market has moved to a digital platform in order to better cater to the social media networks and its potential for customers!